I have been a veterinarian for 15 years and have owned a successful practice for the past seven years. 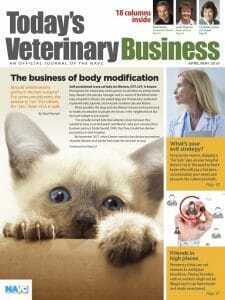 I don’t get a chance to read much in vet-based magazines, but recently I had a chance to pick up your April/May issue. I am always looking for ways to improve the business side of my practice. The article “Do the Math” really missed the mark with its recommendations for markups. In the past, 100 percent markups may have been tolerable to clients, but not anymore. Flea and tick preventives are brand recognized and plastered all over the internet. A 12-pack of brown Heartgard Plus costs about $67 to purchase from Merial. At 100 percent markup, you charge the client $134 for that pack. Maybe you can give them a $12 rebate so they net $122. They feel pretty good until they get an email from Petmeds.com that lists the same product for $90, 25 percent less than they paid. (And that’s not even the cheapest on the internet). You have burned this client. Every future visit, if there is one, is going to have them wondering how cheap they can find everything you recommend and doubting whether the prices for all your services are fair. Product sales continue to be a successful part of my business. I keep my product prices comparable with my digital competitors. I count on clients being repeat customers and word-of-mouth referrals when they are treated fairly, which will lead to more sales volume in the future. These aren’t one-and-done products; these are products that the pet should be on forever. I think by continuing to tout outdated markup rules you are leading unwise veterinarians down a path to being script writers rather than script fillers. You should write an article with a more modern inventory concept like “margin and turns” to help vets get caught up with today’s business world. Dr. Adam Staff practices at Chetek Veterinary Clinic in Chetek, Wisconsin.